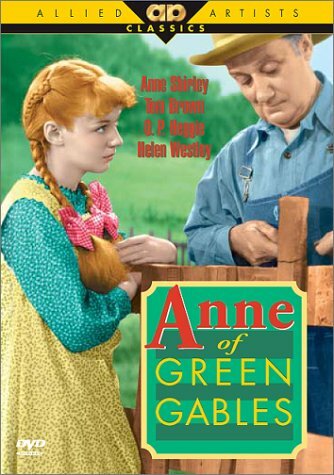 Anne Shirley is a freckle-faced red headed child lost in the beauty of the day. She escapes the reality of her situation as an orphan in the 1890s by imagining she is a character in a novel or poem. She finds what she imagines about herself to be a lot more interesting than who she really is. Throughout her life she has always looked for a kindred spirit and has wished she could live on Prince Edward Island where the scenery is tranquil and inspiring. Spinster Marilla (Colleen Dewhurst) and her brother Matthew Cuthbert (Richard Farnsworth) are looking to adopt a boy to help on the farm and as fate would have it, Anne arrives on the train instead. Anne gains not only a family, she finds Diana and they become best friends. When Anne gives Diana currant wine instead of raspberry cordial, quite by accident, she gets into a heap of trouble and Diana and Anne are banned from seeing one another. Anne then realizes that true friends are always together in spirit. Anne is simply impetuous and at times you cannot help laughing even when what she is saying is quite serious. The first half of the movie is almost a comedy of sorts, while the last half is more serious in many ways. In the second movie, Anne's new teacher inspires her and teaches her to not only take her studies very seriously, but that she can also learn from her mistakes. "Sometimes people don't want to hear the truth, Anne. You see, it frightens them. So they put up walls to protect themselves from it. What we must bear in mind is that all these trials and tribulations that pop up in our lives, well, they serve a very useful purpose. They build character as long as we can hold onto the lessons we've learned from our mistakes. Remember, you can always start everything afresh tomorrow." to get her attention. Gilbert and Anne both excel in their studies and seem destined to be competitors and not friends. Their relationship throughout the movie is very interesting, yet not quite a romance. Anne keeps running from how she really feels and Gilbert is rather patient with her. A movie that will capture your heart! 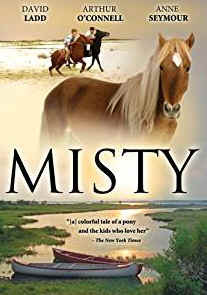 When Paul and his sister Maureen go to live with their grandparents they don't realize they are going to fall in love with a wild pony. Once they hear the stories of how the horses got to Chincoteague Island they are intrigued. Their grandpa is a good story teller and he provides well for them, only problem is they now need money to buy the pony after the annual Pony Penning day. But capturing a pony is no easy feat. To get the money the kids have to take on lots of jobs which make them more responsible. What I loved about this movie was all the cute ponies and wild horses. Some of the scenes are quite humorous. There are also moments of victory and disappointment throughout the movie. So a good balance of emotions. There are also lots of scenes of horses running on beaches. The whole story is really about two kids and a dream. But the ending is not what you'd expect. You will probably cry your eyes out at the end even though it is a happy ending. If they make movies like this these days I haven't seen one. Great character development, a wonderful plot with twists and turns and a good message about freedom and our responsibility to wild creatures.